A new police community support officer is in training to start work in Kenilworth in January next year, Warwickshire Police have confirmed. Former PCSO Carl Whitehouse left Kenilworth earlier this year, and has not yet been replaced. 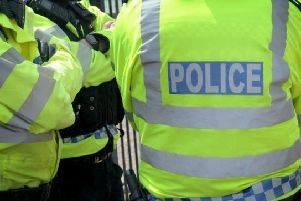 But in a public letter to Kenilworth Town Council following its criticism of the lack of police in the town, Warwickshire Police Chief Constable Martin Jelley said a new PCSO was being trained to replace PCSO Whitehouse. He wrote: "A replacement PCSO has commenced training and will be operational in January 2019. In the meantime, Inspector Kettle (of Warwickshire Police) is using his resources in a flexible manner to ensure that a visible policing presence remains in Kenilworth." Warwickshire Police declined to name the new PCSO in case they do not complete the training. Their appointment will be discussed at the next Kenilworth Town Council meeting on Thursday December 6. Kenilworth's Safer Neighbourhood Team currently consists of beat manager Pc Anna Brown and PCSO Craig Ricardo.